For many people the garage door is the first thing they notice when visiting a property for the first time. In other words, the garage door is not just a garage entrance but an important component of a modern home. That is why we take our time when installing our garage doors, choosing products to enhance the aesthetic appeal of your home. We have a very experienced and dedicated team that gives valuable advice to clients. We have a door for every home and facility. Our products come in a wide range of colours, styles and sizes. 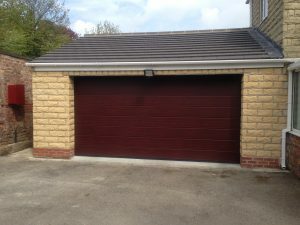 Not sure which garage door suits your needs and preferences? Just call and get a free consultation. When it comes to maintenance and repairs, our team will be glad to assist. Schedule for a service via e-mail or simply call to arrange a free consultation with one of our representitives at a time that suits you. The weather can be extremely harsh on garage doors especially during the winter. Our garage doors are designed to overcome the effects of the elements for a long time. We understand that these doors are applicable in many areas: sheds, boathouses, barns, etc.-so we offer customised solutions. For example, the insulation level may vary depending on whether the garage is detached or attached to the home. Whenever you are shopping for a garage door, you should choose a system that is both reliable and easy to use. Remember that a modern garage door does not have to be complex in design. Its most important features are strength, aesthetic appeal and operation.